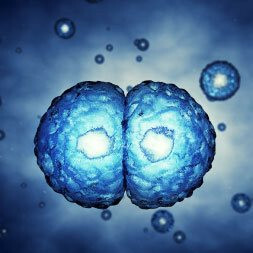 Learn more about the biological processes of cell division. This course about cell division will explain the complex processes of cell division in detail. You will learn about mitosis and meiosis and the phases that occur in each of these processes. You will learn that in the early stages of development embryonic cells can generate all cell types in the body. You will also look at how cells divide and replicate allowing us grow and repair body tissues, and if damage occurs, how some cells can replicate faster than surrounding cells to form tumours. This course will be of great interest to all students who wish to pursue a career in the sciences, medicine, pharmacy, nursing, biology or biodiversity or the individual learner who simply wants to learn more about mitosis, meiosis and their role in cell division and replication. Upon completion of this course you will be able to: - Describe how normal cells grow by replication; - Describe germ cells combine DNA for two donors; - List the early stages of embryo development; - Discuss how damaged cells develop and spread; - and utilize the vocabulary of replication and reproduction.